We are a team of payroll professionals dedicated to serving South Texas College. 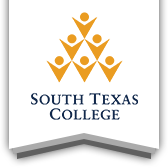 The mission of the Payroll Department is to provide accurate and quality payroll operations for all South Texas College Faculty, Staff, and Administration. Please contact us using the email address below for general questions as it will be received by all members of the Payroll Staff.